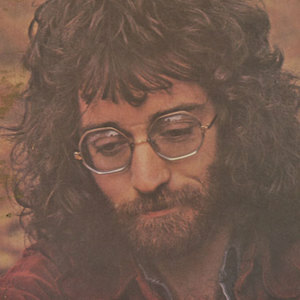 John Kongos, (b.23 July 1946, Johannesburg, South Africa), is a singer/songwriter. After relocating to Britain to follow a musical career, his first album, "Confusions About a Goldfish" (1970), was unsuccessful. The next year he had two hit singles ? "He's Gonna Step On You Again" (UK #4; U.S. #70) and "Tokoloshe Man" (UK #4). His second album "Kongos" made the Top 40 of the UK Albums Chart, but subsequent singles, "Great White Lady" (1972), "Ride the Lightning" (1973) and "Higher than God's Hat" (1975), failed to chart. After relocating to Britain to follow a musical career, his first album, "Confusions About a Goldfish" (1970), was unsuccessful. The next year he had two hit singles ? "He's Gonna Step On You Again" (UK #4; U.S. #70) and "Tokoloshe Man" (UK #4). His second album "Kongos" made the Top 40 of the UK Albums Chart, but subsequent singles, "Great White Lady" (1972), "Ride the Lightning" (1973) and "Higher than God's Hat" (1975), failed to chart. Kongos continued to work in the music industry as a record producer, sound engineer, TV jingle and theme music composer and songwriter, as well as handling the programming of the Fairlight CMI synthesizer on Def Leppard's 1983 album Pyromania. "He's Gonna Step On You Again" is cited in the Guinness Book of Records as being the first song to use a sample. His two biggest hits "He's Gonna Step On You Again" & "Tokoloshe Man", were later succesfully covered by the Happy Mondays.